The calendar has flipped into the New Year, and hennemusic has a look at the rock forecast for 2014. 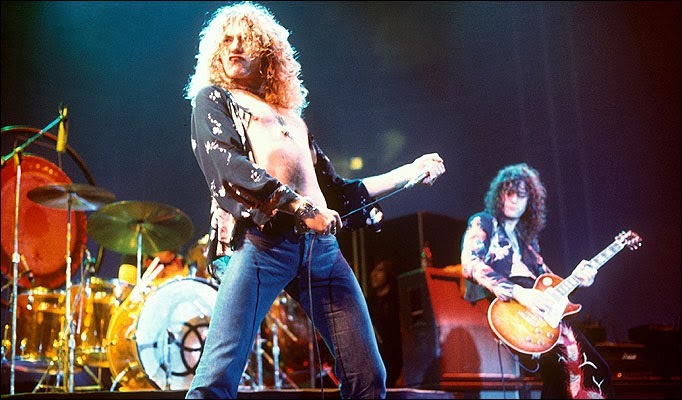 The band will launch a full catalog reissue campaign this year, with newly-remastered albums set to feature a companion disc of unreleased material, according to Jimmy Page. The band will return this spring with the follow-up to 2009’s “No Line On The Horizon.” Danger Mouse has been producing the project, and reports indicate U2 are currently shopping for brand partners to announce the album via a Super Bowl commercial. Dave Grohl & Co. are working on the follow-up to 2011’s “Wasting Light.” Butch Vig is producing the project, which Grohl says is being made in a way that no one’s ever done before…without elaborating or giving that secret away. The metal icons have been busy touring the past few years while stockpiling riffs for future use, and they say they’re planning to hit the studio in 2014. At least one new Metallica track will surface this year, as the group has committed to playing one new tune on their summer "Metallica By Request" tour of Europe…while fans vote to select the other 17 songs for each concert. The band will make the loudest noise at their induction into the 2014 Rock & Roll Hall Of Fame in New York on April 10. After years of slamming the institution, the band whipped the KISS Army into a frenzy to win the fan-voted ballot. Now, the question fans want to know is will the original lineup reunite one more time for the historical event. With three-quarters of the band’s remaining members over 70 (Ron Wood’s the baby at 66), the Stones will continue to play live this year with dates already announced for the United Arab Emirates, Australia, New Zealand and Asia. The band will sell 1964’s US invasion of Beatlemania all over again on its 50th anniversary. This month, the group releases a 13-disc box set, “The U.S. Albums.” The package celebrates the Beatles arrival in New York on February 7, 1964, and the February 9 appearance on The Ed Sullivan Show, which was viewed by more than 74 million in the States (40% of the population), a record at the time and considered a watershed moment in pop culture. A Lifetime Achievement Award from the Grammys will be issued later this month, as well. Queen have been working on unreleased tracks by Freddie Mercury for eventual release. Brian May and Roger Taylor are recording music to accompany Freddie’s vocals, as they did with 1995’s “Made In Heaven” album. There’s also a few songs Mercury recorded with Michael Jackson in the 1980s that are expected to see the light of day. A short list of confirmed and possible new music and memoirs in 2014.